Thinking of winter favor ideas that are fun and festive, but practical! There’s nothing boring and useless in this list because we believe that your engagement party guests deserve something better than hot cocoa! From pretty keepsake boxes to luxurious sachets, we’re thrilled to share with you our winter favorites for the holiday season. 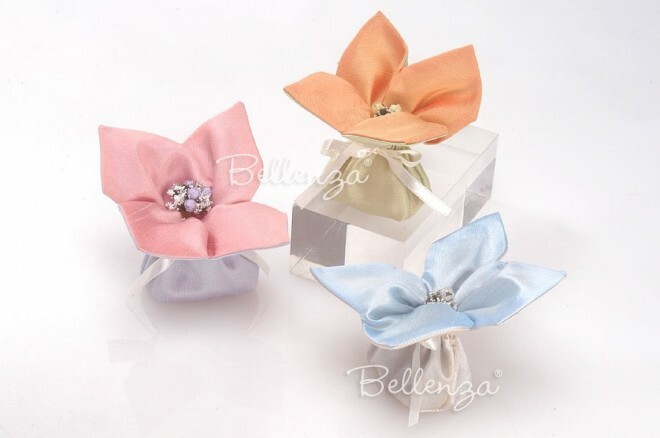 After all, it’s the holidays so it’s okay to spoil your guests with lovely small gifts to keep long after the wedding. 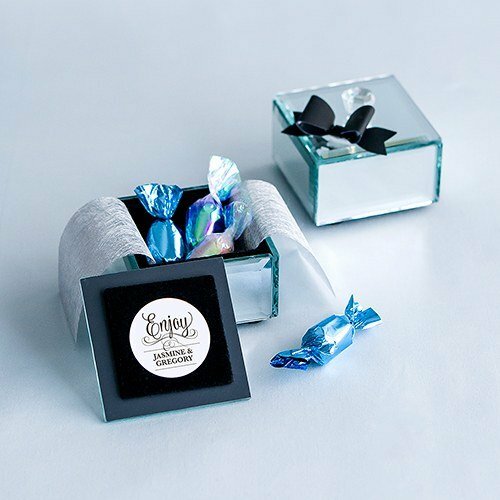 Mirrored Keepsake Box (small) - A mirrored box that perfectly fits treats for guests. It can be re-used to hold keepsakes and jewelry. This item can also be personalized with a sticker. 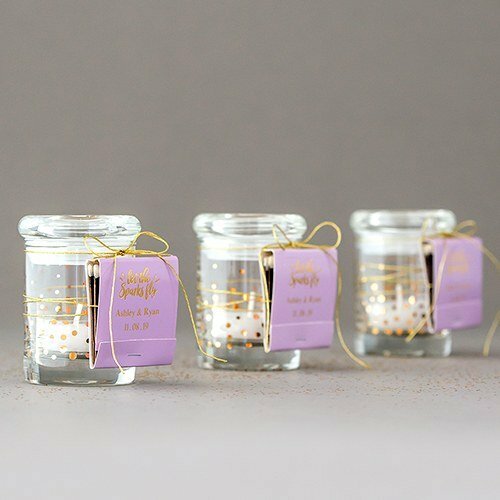 Mini Confetti (Gold) Glass Jars - These dazzling glass jars with lids fit petite-sized candies like mints, Jordan almonds, and chocolate dragées. 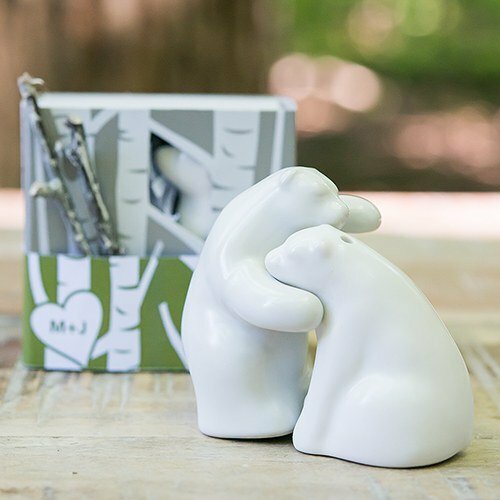 Ceramic Bear-shaped Salt and Pepper Shaker Set - Cute, cuddly ceramic salt and pepper shakers, which are gift boxed and ready for giving. 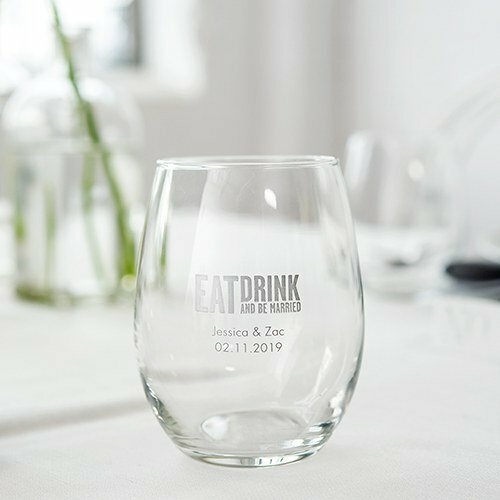 Personalized Stemless Wine Glasses (small) - Personalized glasses definitely make a practical choice to give guests. These 9 oz. glasses can be printed in a color of your choice. They are also ideal for a winter rehearsal dinner. Gold Bottle Opener “Cheers” - A fun and festive favor to give during the holidays! 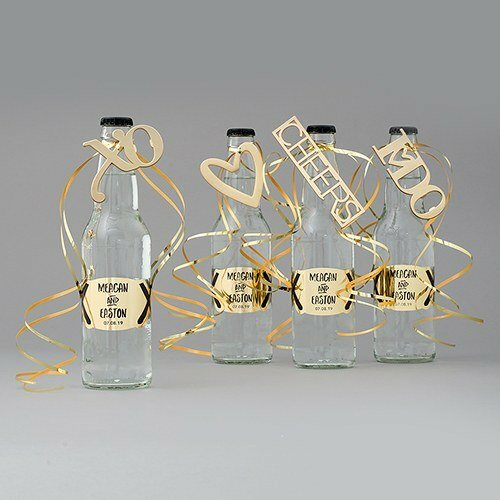 These bottle openers made of alloy metal can be given as a festive favor a for New Year’s Eve engagement party. 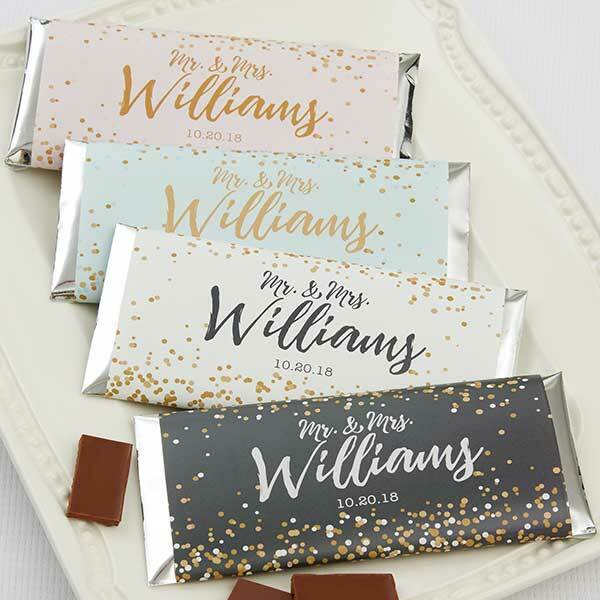 Chocolate Bar Wrappers with Sparkling Love - These are wrappers that are personalized with a sparkly theme. Available in 4 colors: blush, aqua, charcoal, and ivory. Comes with a foil pouch to hold a chocolate bar. 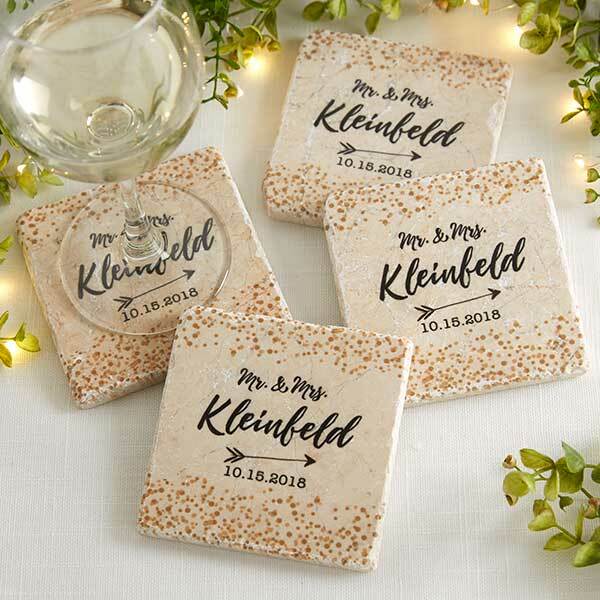 Personalized Tumbled Stone Coasters - Personalized coasters with a sparkling love theme that are made of stone tiles. They come as a set of 4 coasters with a cork backing. Sparkly Rhinestone Place Card Holders - Sit your guests with sparkly place card holders, which can be taken home as keepsake photo holders. 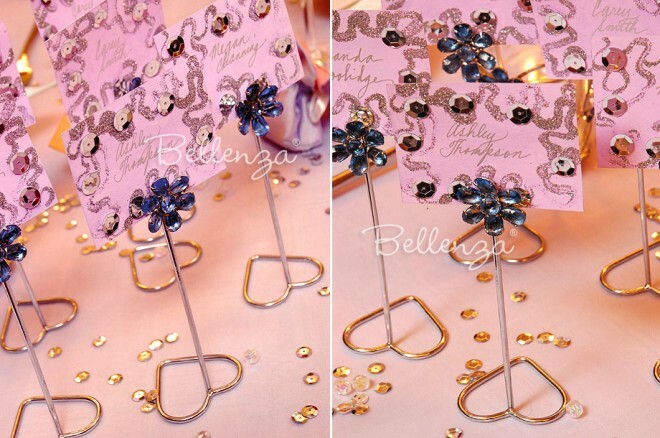 These rhinestone card holders have a bright metallic finish and are available in blue or pink. Jordan Almond Favor Bags - If you are sticking with the tradition of giving something sweet, give your guests luxurious favor sachets filled with your favorite candies. Display them on the place settings for a lovely presentation. Bags are available in 3 color combinations.